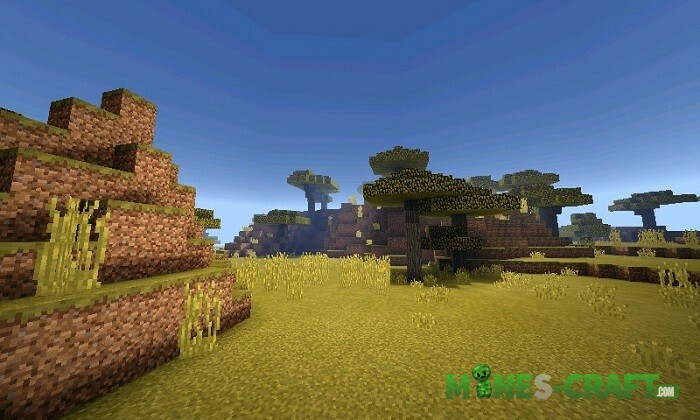 Never before have you seen such a beautiful dawn if you played only the original version of Minecraft without additional textures or shaders. But if you add the Blue’s Shaders to your game, you’ll see radically different landscapes, with the textures remaining unchanged. Thanks to the beautiful natural effects, the world will change its appearance: blocks cast a realistic shadow with the right angles, the sunlight falls pleasantly to the ground, and a small wind rustles plants and creates a ripple on the water. New shadow system. All the blocks cast a shadow that is perfectly visible at noon. New lighting system. Sunlight and candlelight gently spread over the surfaces. Wind system. The grass and foliage on the trees slowly sway that adds a sense of wind. New celestial objects and clouds. Like other realistic shaders, Blue’s replaces square clouds with natural ones. New weather conditions. Many players mistook the rain badly because of simple rain drops. Now the rainwater falls to the ground under a slight slope. The rest of the features you’ll see in the game. 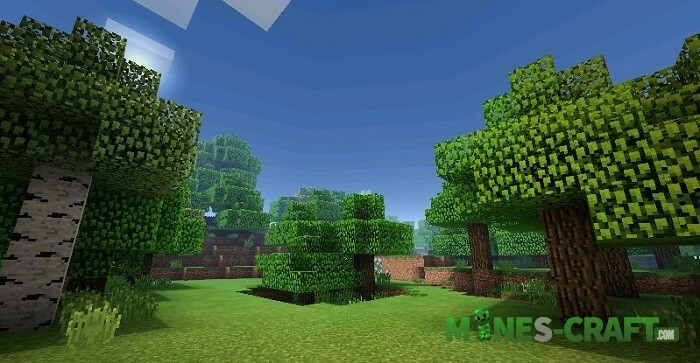 Open the shader using Minecraft PE.